I just purchased an older light bulb because I thought the filament in it was very unique. When I purchased it I had no idea what it was but for the $1.00 I paid for it I thought it was worth it. I tired it in my lamp but it did not work. 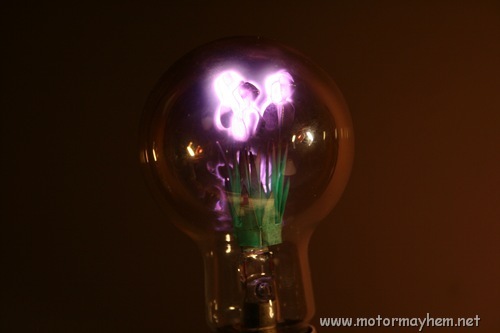 Then I did some research on the Internet and discovered that the shape of the filament looked like a flower because it was, in fact, supposed to light up like a flower in the neon/argon filled bulb. I then decided to give the bulb another try, as I did not see any visible problems with the filament. I decided since it was a neon light it might need to warm up so I left it on and after warming up it came on. I took some pictures of it glowing if anyone is interested. 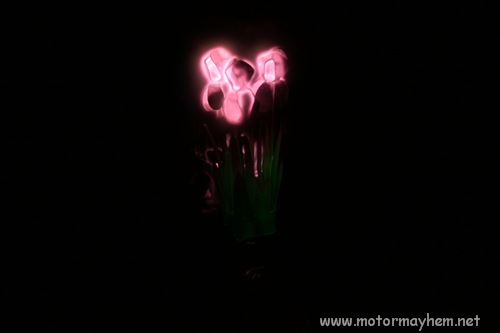 It may be hard to tell from the pictures but the bottom of the flower is glowing green.